On Epsiode 77 i decided to smooth things out and focus on some of my favorite R&B cuts, with a little bit of hip-hop infused R&B tracks sprinkled in between. Check out the full tracklist below. VanJess — Favor ( Produced by Darehouse) (1:26) Ian Petrarca — Smile (feat. asante & Jamall Bufford) (3:12) Tom Misch — Slum Village “Get Dis Money” (Tom Misch x Jordan Rakei Remix) (5:25) k u n — Everyday (8:02) Lauren Declasse — Ride (10:44) Ky'Aire — Dear Momma (13:31) Rozwell Fitzroy — Hennessy Feat. West Banks & Maeve Alexander (15:43) Ta-Ku & Jaden Smith - Beast Mode (17:25) Smino — blkjuptr (21:26) Dave B - Dont Matter (24:20) GoldLink - Palm Trees (Slowed Up Action) (25:57) Kaytranada & Mr. Carmack - I Cherish Youse (29:08) Dianna Lopez — when i’m small (31:21) K. Roosevelt — Going Crazy (33:12) Anthiny King - Away (Prod. Team Titans) (35:21) Jane Handcock — SO LONG (38:19) Todd Zack Jr. — sweetpotatopie. (Prod. by JBird) (41:09) Kevin Ross— Prototype (45:16) Tiara Thomas — MARY JANE (Tiara Thomas X Dj Marley Waters Remix) (48:15) Ambré - Must Be The Fall (51:28) The High Corporation — Paranoid Again (54:52) Keep up with show via Twitter. Instagram. Facebook. DJ Eternity:. Twitter Instagram Elite Muzik:. 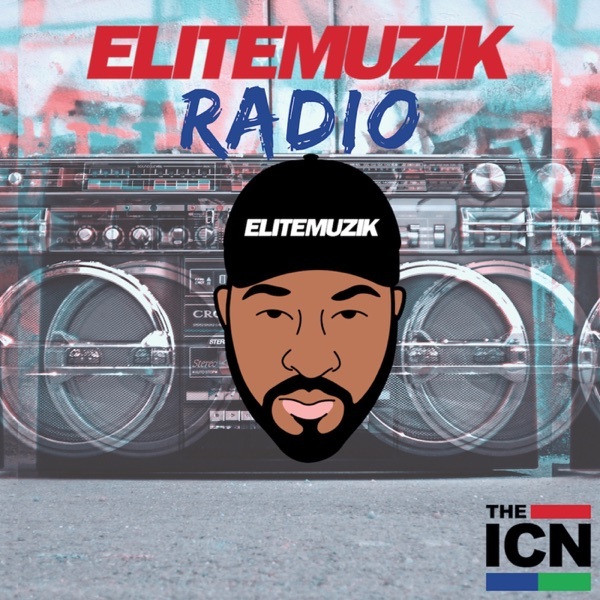 Twitter Instagram Facebook Send us your feedback online: https://pinecast.com/feedback/elite-muzik-radio/d5a90636-7d74-44e0-a045-ea035197dc1c This podcast is powered by Pinecast. Try Pinecast for free, forever, no credit card required. If you decide to upgrade, use coupon code r-1aea92 for 40% off for 4 months, and support Elite Muzik Radio.